Chatbots provide a level of immediacy that is simply not possible on websites or apps. The friction of finding an app in an app store, downloading it and then starting it up is often too much. It is no surprise that as app designers we have to deal with usersâ?? app fatigue. If you are visiting a museum and want to know what time it closes you are not going to install an app. Similarly you might feel that the website probably has the information but youâ? ?ve been burned so many times trying to find a simple piece of info that you simply donâ? ?t want to try again. You know you will end up having to scan around some crazily designed page or fish around some strange menu to figure out where closing times are. â? ?What time do you close todayâ?? â? ?Today, Tuesday, March 14thâ??â??â? ?the museum closes at 6pmâ?? The museum bot will then slowly go down our contact list in the messenger app and we can call it back up whenever we need it again. Straight to the point, minimum friction, ephemeral. Tightly related to ephemeral interactions it is important that we are trying to resolve a specific problem within a tightly defined context. This allows the chatbot to zero in on the exact interactions required and provide a resolution quickly. â? ?What will the weather be like in the next hour or soâ?? â? ?It doesnâ? ?t look like itâ? ?s going to rain, but some clouds will hang aroundâ?? The chatbot can make a safe assumption that if no location has been specified we are looking for a local weather update and solve that problem immediately. It also allows us to zero in on specific words to guess the userâ? ?s intent (â??weatherâ? ?, â? ?next hourâ??). A specific scenario we are exploring at Deeson is the combination of beacon technology with chatbots within the context of cultural tours or museum visitsâ??â??â? ?this allows us to determine the userâ? ?s location. 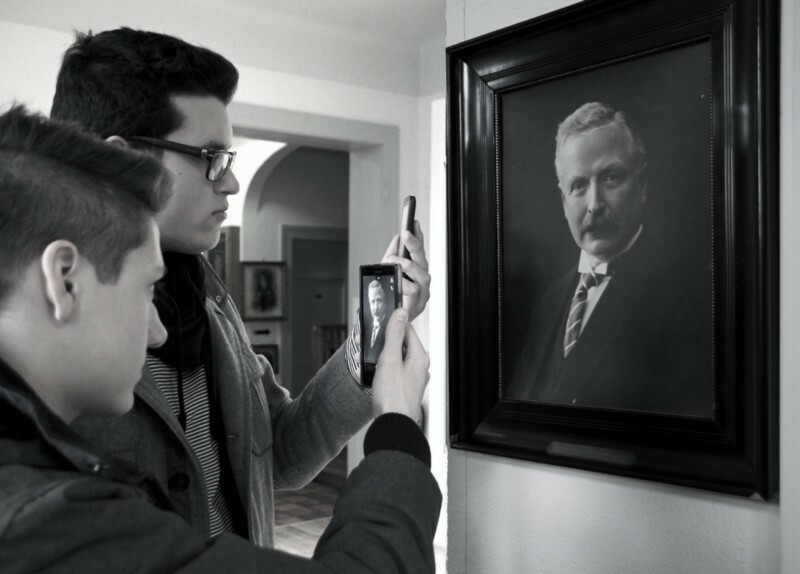 Given the well defined context of, say, a museum visit, we can provide a chatbot that answers questions relevant to an exhibit the user is looking at. It avoids providing a dry and often long summary of the object in question, and can instead add some interesting historical context or connect it to other exhibits.